Turquoise has definitely captured the hearts of hundreds (I'm sure more if I ran into them) of bloggers around bloggy land. I get so excited each time I find a new project by someone that I haven't met before!! That just goes to show that turquoise will hopefully NEVER go out of style. I know it never will in my house! I love how so many of you have been using turquoise in your fall decorating with such creativity. I absolutely LOVE turquoise combined with fall colors as I've told you before. 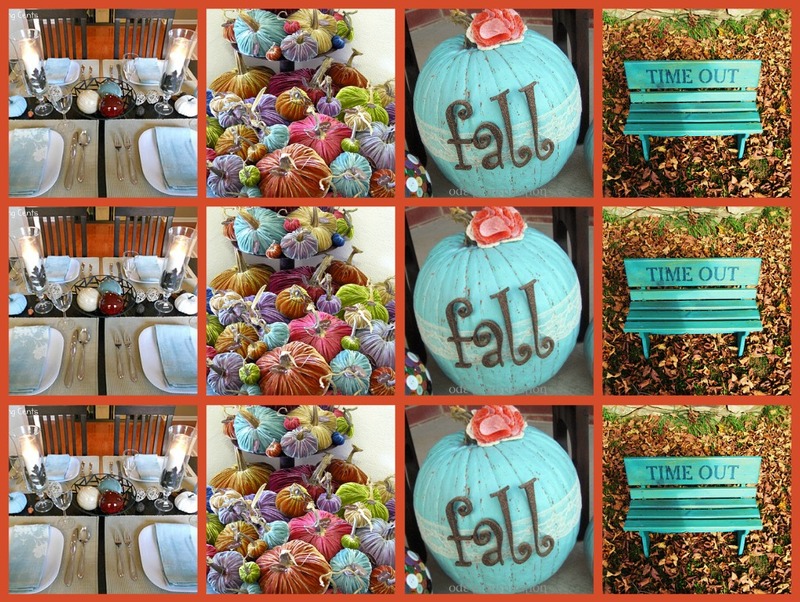 I am excited to feature a few of those creative projects this week in honor of the fall season. 1. Gorgeous fall table at Decorating Cents...I love this so much! 2. Adorable velvet pumpkins at The Lemonista...SO cute! 3. Vintage Pumpkin at Ode to Inspiration Can't get over this one...I love the distressing so much! 4. And a fantastic "Time Out" bench at West Furniture Revival I would LOVE to have this one in my yard! These projects just make me crazy about fall. How about you? And since I love photography so much I had to feature this picture from That Country Place. Dawna, I just LOVE that turquoise wall!! 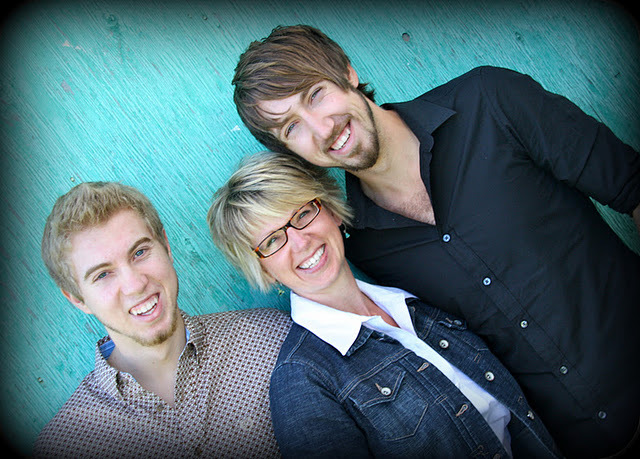 What a cute shot of you and your sons! And now let's see what you've all been up to this week. Can't wait! I love the turquoise things you posted! Gorgeous!! linked up and following. thanks for the invite. hope you'll follow back! Love all the turquoise. Thank you for visiting my blog. Thanks so much for stopping by my blog & inviting me to join your party. I am happy to be a part of this fun party. I'm your newest follower! such a fun linky party! thanks for inviting me over! following... and will definitely be visiting often! Thanks for the surprise of mentioning me in your post! How exciting was that!! I have joined up again with another photo ... this one is in front of an old garage door. Hope you like it. Oh...I forgot to mention I love your mosaic, how you just repeated one picture,,,I may have to copy that idea!! I really enjoy this party its my favorite! join me for my Capturing Beauty each Monday. i HOPE TO JOIN YOUR SOON! Hi Sara! Thanks for stopping by my blog and for the invitation to your very nice party! I love your turquoise party... Thanks for hosting! Aw!!! Thanks for featuring my pumpkin!! You've made my day!! Thanks a bunches!! Oh Sara, so sorry I missed the link up, but I'll keep my eye open for the next one! Thank you for stopping by Sundries and Such!